One of the most common questions that a mortgage broker is asked is can you remortgage a house to buy another property? The shortest answer is that yes, you can. Remortgaging a house to raise funds to then buy another property is a common move but there are some considerations that a mortgage broker will walk through with you first. After these considerations are some specific to this situation – where you want to remortgage your existing property in order to buy another one. How much equity do I need to buy another property? Top of the list of questions is around how much equity you have in your current home. The equity is worked out by taking the value of the property then taking off the balance on any mortgage. This is the amount of money you can then borrow with a remortgage. One factor that is used to help figure out this figure is known as the loan to value to LTV. This is the balance of the mortgage on the home showed as a percentage of the property’s value. Some lenders will go as high as 95% LTV depending on your details. If your home is worth £500,000 and your mortgage is currently for £200,000 then the LTV is 40%. You have £300,000 equity in your property, and you could release this potentially up to £475,000. This would give you £275,000 to work with for a new property at an LTV of 95%. Lenders do prefer a lower LTV than the 90-95% mark so if you need to go this high, it will limit the mortgage products available for you. You may also find you pay a higher interest rate. The LTV depends on things like your age, credit history and the purpose of the loan. A buy to let mortgage is typically capped at around 85% LTV while residential mortgages can go up to 95%. Holiday let mortgages usually stop at 75-80% LTV. When you remortgage a property to buy a second one, the new mortgage will be higher than the existing one so you need to be able to show lenders that you can afford it. Different lenders have different ways to work these things out and your mortgage broker can easily work through these with you. Affordability calculations will look at your income and outgoings. Some lenders will go as high as 6 times your income while others stop at around 3-4 times what you earn. Some lenders also view other income sources such as bonuses and overtime while others just look at your basic salary. Or they may accept 50% of your bonus while others might consider all of it. If you have a salary of £35,000 and a bonus of £10,000. The lender allows 50% of the bonus and 4x your income so would lend up to £160,000. Another considers all of the bonus and lends up to 5x your income so there you could go up to £225,000. Your details haven’t changed, just the rules of the lender. The attitude towards people who are self-employed has changed in recent times as more people are switching to this working approach. Traditionally, at least 3 years accounts were needed to get a mortgage but there are now some lenders who will consider just one year or even less if the end of the year is near. Lenders also have their own way of assessing income. For example, some will use salary and dividends if you are a company director or the profits retained within the business. A director of a limited company is also a 50% shareholder in it. The company makes £250,000 profit but you take just £10,000 salary and then £40,000 dividends to reduce tax liability. A lender would usually class your income to be £50,000 so if they would lend 5x your income, that would be £250,000. However, a specialist lender might look at the profit retain into the business. At 50% of the £250,000 profit, this would mean an income of £125,000 and 4x times would mean a mortgage of £500,000. Like being self-employed, lenders treat people who are contractors differently. Some will offer mortgages or remortgage regardless including for those on zero hour contracts, fixed term contractors, agency works and those in the Construction Industry Scheme (CIS). Again they have different rates and requirements. One lender might want a minimum working period to consider a contractor while another might want a fixed term contract in place. Most of the time, the rate will be worked out on the day rate that you earn. Day rate of £200 means a weekly rate of £1000 based on a 5 day week. 46 weeks at £1000 means an annual wage of £46,000. Lenders don’t multiply by 52 weeks because there is time allowed for holidays and for periods between contracts. If you are on the CIS, then there are also specialist mortgage companies who offer products for people this way that look at your gross income on payslips rather than business accounts or self-assessment. Even if you are on a low income, it is possible to remortgage your property. Some lenders may require a minimum income of £15,000-20,000 but others have no minimum income and will consider all cases. Loans and credit cards don’t stop you from getting a remortgage, but unsecured credit can reduce the amount you are able to borrow. To remortgage to buy another house, these commitments will be considered. This means if you reduce the amount of unsecured debt that you have, this can increase the amount you can borrow for a remortgage. If you earn £40,000 a year and have debts that cost, you £500 a month. Lenders might take this amount off the income you make as part of your affordability assessment. So if they lend up to 4 times your wage, they might see £40,000 less £6,000 for debts = £34,000 x 4 which means a remortgage amount of £136,000. But if you clear the debts, then you could borrow four times your wage which could be £200,000. If you work part-time, you need to show your income and affordability just like with a full-time job. You may want to look at additional sources of income to help boost your overall numbers such as overtime, a second job or investment income. However, some lenders stop at 75% or even 50% of additional income that they will consider so do your research with your broker before you commit to extra work. Some lenders will consider benefits such as Universal Credit, but others won’t. If you have recently started in your job, then some lenders might not be willing to consider you while others will. Some may want at least 12 months of employment before giving you a mortgage. Others might look for you to be finished with a probationary period. But others are happy to work with you from your first day in the job or even consider a future contract if it is within three months of the start of the mortgage. If the remortgage is for buy to let or let to buy properties, then the affordability considers rental income as well as other factors that are different to a normal house. Traditionally, it was purely rental income and deposit that was used to calculate affordability but there is a little more to it now with new regulations. Rental income needs to cover at least 125% of the mortgage at a 5.5% basic taxpayer rate or higher if you are on a higher taxpayer rate. That’s because the tax burden for landlords is being increased in the next few years. £200,000 mortgage with an interest rate of 5.5% would have monthly payments of £916. This means monthly rent much be at least £1146 at 125% calculation or as much as £1466 at 160% calculation. There are also more tests for landlords with four or more properties. This involves looking at the entire portfolio of income, loan to value of all their properties and other income. So the more properties you own, the more complicated it can be to remortgage! It is possible to remortgage with bad credit, depending on the situation and how recently the problems have been. The lenders will ask about what the problem was, when and how much was involved as well as if it has been repaid. Some may want explanations about previous problems to see if they were one-off events. The maximum LTV is often lower for people with bad credit, but brokers can often find companies who will consider up to 90% LTV. If the problems are older, some companies will consider up to 95% LTV. Interest rates also tend to be higher but there are still some good deals to find. Late payments are isolated incidents where a payment is missed and resulted in falling behind on their payment schedule. If you are in this position, it depends on the lender. Some high street lenders insist on 12 months with no problems before considering but many other specialists will have broader requirements. Again, there are lenders who will consider CCJs and defaults. Some may require them to be satisfied and complete but others who will consider even if they are in the last 6 months. The amounts involved and the dates will play a part in acceptance. People with a debt management plan (DMP) are often seen as taking responsibility for their financial problems and handling them. So even if you are on an active DMP, it is possible to get a remortgage depending on successful payments and financial situation. Some lenders will offer a 75% LTV for customers with an IVA or who have been discharged from bankruptcy only 12 months ago. You may want to work with a broker who specialises in this kind of situation. Lenders will want to consider the type of property that you are living in when remortgaging for a second home or buy to let. For example, most are happy with standard construction semi-detached, detached or terraced houses. And they will usually consider purpose build flats. Some types of property that might be a little trickier include studio flats, ex-council properties or a property made from unusual materials like timber or concrete. Your own personal details play a huge part in the decision whether to lend you the money or not. So these will need to be considered. You will need to be at least 18 to get a mortgage or a remortgage and some lenders have a maximum age they will consider. Others don’t but all of them will look at affordability to see if you can qualify. If you are retired, then they will look at your ability to pay and what income you have. Under the Rehabilitation of Offender Act 1974, you don’t have to disclose previous cautions or convictions and a lender will not be allowed to take them into account if they are spent. If they are unspent you will need to declare this, and your broker can look for lenders who will consider you. Finally, there are some other factors that can come into the equation when looking to remortgage the house. An early repayment charge on your existing mortgage won’t stop you from getting a new one but you will need to pay this and factor it into costs involved. Or you can wait until there is no longer a charge. Rather than remortgaging, it may be a better option to take a secured loan to be able to buy the second property. Brokers will be able to assess this option for you. If you have the cash resources to pay for the property, then you can do this. Or you can use the money towards the cost of the property and look to remortgage to raise the rest. Buy to Let mortgages are the best option if you plan to rent it out as these are designed for this type of property. You can also look to rent out your current home and get a remortgage for a new property that you then live in. This is known as let to Buy and there are special mortgage products for this situation that brokers can get for you. You can remortgage to release equity in your current property to then buy another one with Buy to Let mortgages going up to as high as 85% of the loan to value ratio. Affordability will still be considered based on your details and with the change of regulations around landlords rules. You can even remortgage to buy a property outside the UK as long as you can meet the criteria. 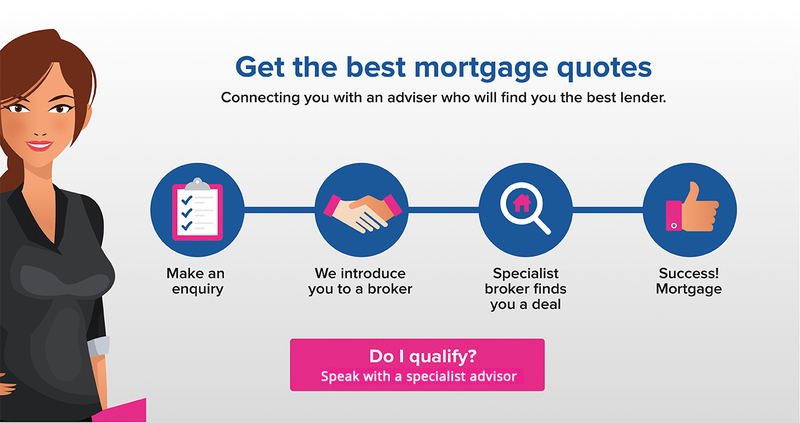 This is another specialist mortgage product that brokers can help you with. If you have inherited a property and the probate is finished, you can remortgage the property to raise money for another property. Some lenders do require you to have owned the property for 6-12 months and everyone who is a beneficiary will need to be on the mortgage. Here at Niche Mortgage Info, our role is to help you find the right remortgaging product to allow you to buy another property, whatever the reason for the purchase. We can help by matching you up with hundreds of products from mortgage companies of all sizes, regardless of your situation.